This was the most problematic 100k I’ve done this year. I tried some “in ear” running headphones, but they were a big disappointment. While they entirely blocked out traffic noise, they seemed to let in wind noise so I still couldn’t hear radio and was oblivious to cars behind me (or round the next corner). I ditched them after 15 minutes feeling they were abit dangerous. Back to normal cheap ones as I can still hear plenty of the traffic and get enough of the radio. The route was lumpy on the macro and the micro scale. While I didn’t mind the hills, the fact that the road surfaces were generally in a terrible state made any descending a misery as I usually had to have the brake jammed on and got a bruised hand from banging through potholes. It didn’t help that many of these descents were twisty and so shadowed by trees that I really could have done with my light! I seem to have ignored my own “don’t use country lanes apart from for a break” mantra. 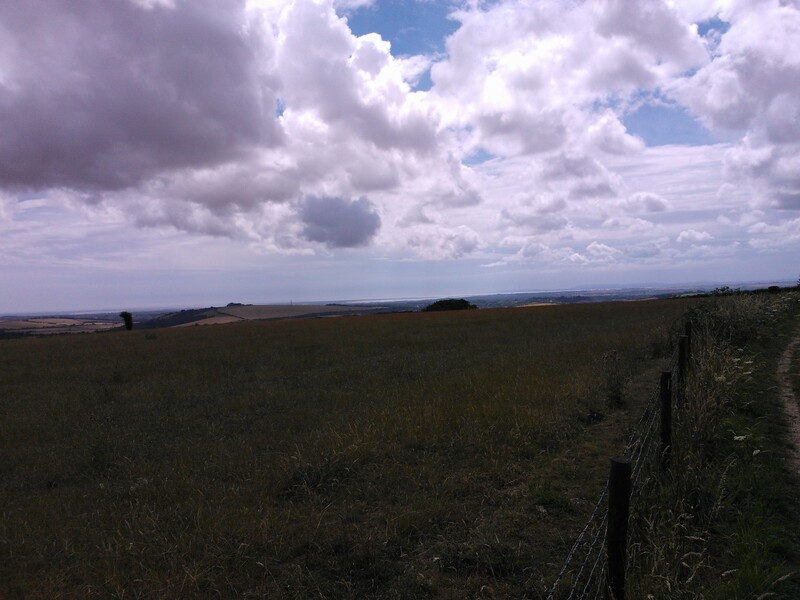 It also didn’t help that about 1km of my route on the South Downs was unpaved. You can see a bunch of 2.5mph walking in the middle of the speed graph. I had forgotten to fully charge up my GPS (or backup battery) for the ride, so about 60km in it started to tell me that the battery was low. This was bad a) because I might not get the ride validated and b) because I’d be lost somewhere in Hampshire! Fortunately it hung on until I got to some bits that were easy to navigate and I could switch it off for a while between controls. This does mean that the stats don’t reflect the ridiculous amount of climbing that went on. 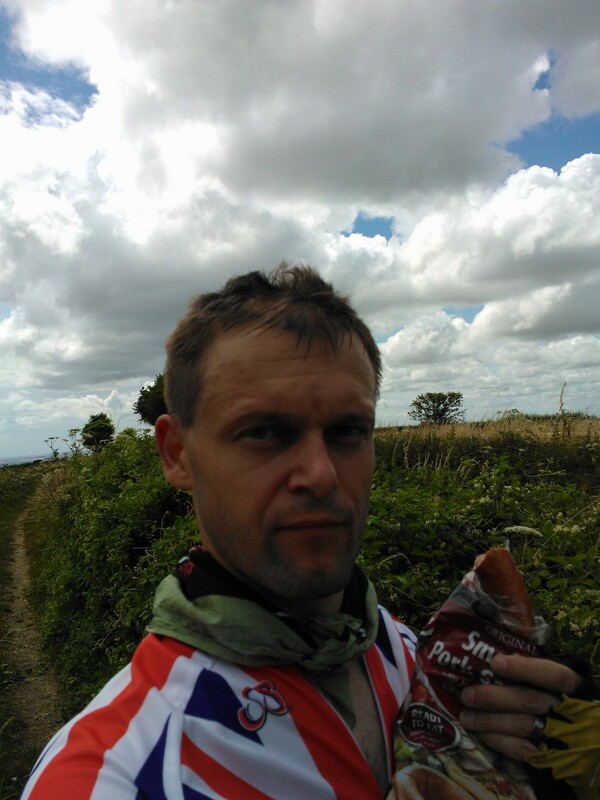 In conclusion, I won’t be doing that route again, or using those headphones, but I will be taking a backup battery & sausage!